As your loved one ages, there are certain conditions or circumstances that can really drive home for her that she is aging. 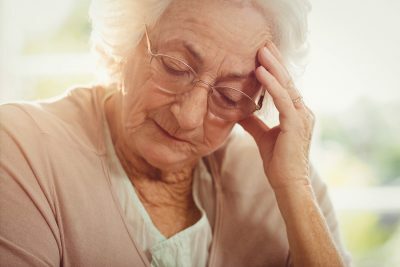 Incontinence is one of those conditions that can be emotionally difficult for your elderly loved one. Many elderly loved ones and family caregivers alike can try to avoid the issue of discussing incontinence. The problem is that this fosters a feeling that there’s something wrong or bad going on and that’s the wrong attitude to bring to the situation. It’s important to be open and honest with your loved one about the incontinence and about the fact that you can manage it together. When your loved one first starts experiencing issues with incontinence, bring it up with her doctor. Being an advocate for your loved one from the beginning can help you to find a potential solution. Some mild incontinence can result from medication side effects, a urinary tract infection, or other health issues. Starting to look for a solution quickly can actually help to solve the problem of incontinence and remove it as an issue. Incontinence doesn’t have to be scary or a symptom that your loved one’s life as she knows it is over. If you can, try to find the humor together in the situation. You and your loved one might develop private jokes about the situation or the products that help her to manage her incontinence. The jokes should never be at your loved one’s expense, of course, and should be something that she participates in with you. Shouting about incontinence from the rooftops may not be part of your loved one’s plan, no matter how well she’s dealing with the condition. So it’s a good idea to be as discreet as possible about the situation. There may be people who help your loved one, such as senior care providers and other family members, that would benefit from knowing, however, so let them know as carefully as possible. Eventually your elderly loved one should grow more self-confident and less self-conscious regarding incontinence. If she’s still bothered, it can help to talk to a therapist or counselor. If you or an aging loved one are considering senior care in Old Bridge Township, NJ, please contact the caring staff at Lares Home Care 888-492-3538 or 732-566-1112.